In this game, help Garin stop Captain Scarblade's cohorts as they attempt to board his ship. Your goal is to reach the needed score for each level while keeping the pirates from boarding your ship and not letting the cannons catch fire and burn. For each pirate that boards or each cannon that is destroyed, you will lose a life. Use the arrow keys to move Garin around the ship. Stop the pirates from boarding by slashing them with your sword by using the space bar. On the ship, there are 9 positions where Garin can be: 4 up against the railing next to a cannon, and 5 in the back area. Use the up arrow key to move from the back area to the railing and use the down arrow key to move into the back area. Use the left or right key to move to the other side of a cannon. When a pirate enemy appears, step up to the railing and use the spacebar to slash the pirate with your sword. In the first two stages, there are no cannons so it's fairly simple - just move left and right slashing at enemies before they board. If you fail to slash an enemy pirate before he boards the ship, you will lose a life. In Level 3, your ship will get cannons. To move around the deck, go left or right first and then up to the pirate, and back to the baseline again. Periodically, Jacques (the Kyrii) will slide down a rope and light a cannon. Make sure the cannons are loaded at all times! If that cannon doesn't have a cannonball in it, the cannon will catch fire. You must put out the fire with the bucket of water or your cannon will burn and you will lose a life. To load a cannon, stand to the right of the cannonball pile and use the spacebar to pick up one. Then, move to the right of the desired cannon (so your left hand holding the cannonball is roughly aligned) and press space to load the cannon. 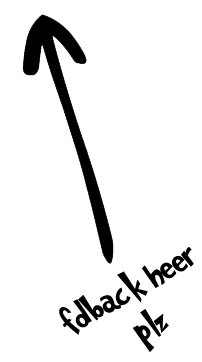 To pick up the bucket of water, stand to the right of it and pressing space. Move to the same spot for loading a cannon and press space again to throw the water on the fire. In addition, you earn 12 points each time Jacques successfully fires a cannon. Using a cannonball or a bucket of water to fend off a pirate will earn you double their normal point value. For example, hitting Captain Scarblade with a cannonball will earn you 10 points instead of just 5. Keep cannons loaded. Keeping the cannons loaded will also help you conserve lives because you won't need to waste precious time putting a fire out. Double your points. Try to use either the cannonballs or the bucket of water to attack enemies. Doubling your points will help you move through the levels faster and conserve lives. Attack in order. In later levels, slash the enemies in the order they appear rather than simply the closest. Remember that you lose a life when a pirate boards your ship! Practice for smooth transitions. Moving around the cannons is a bit more complicated, so practice, practice, practice! Wait in the back area so you're ready to move left or right when a pirate appears. When you see a pirate, move left or right to be in front of it, move up to the railing, slash, and move back in one smooth transition. Level 1 25 This level is straight forward. Slash away at the pirates. 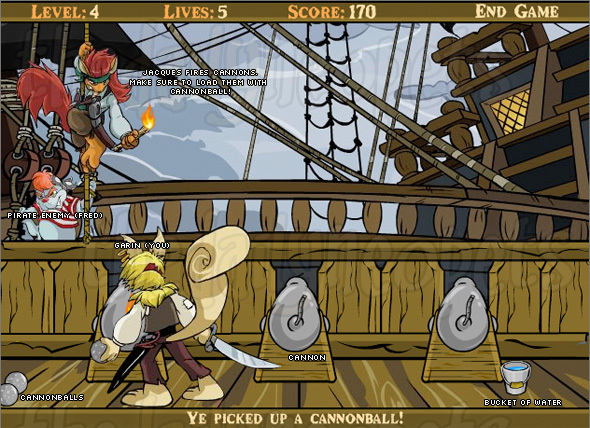 Level 2 75 Double your score by hitting the pirates with a cannonball. Level 3 150 Load up the cannons first and deal with the enemies second, unless the enemies have been there a while. You should still be able to hit most enemies with a cannonball. Level 4 300 Same strategy as before, except faster. When you see the rope, have a cannonball ready to place in there once your cannon has fired. Hit Krawks and Bruces with a cannonball for more points, but don't waste time doing it against Tuskaninnies and Blumaroos. Level 5 500 Use the same general strategy as the previous two levels. This time, though, shift your focus more to taking out the enemies since they will appear faster. Level 6 750 Keep the cannons loaded and slash the enemies. Don't bother hitting all the enemies with a cannonball, as it may cost you a life running back and forth to them. If you happen to see Scarblade, though, try to hit him with a cannonball as it will give you 5 extra points. Level 7 1000 Here's where it gets tough. Your reflexes are more important now. Try your best to keep each cannon loaded, but allow them to be unloaded if there are too many enemies to deal with. It is much easier to load a cannon as Jacques swings down rather than keeping them all loaded all the time. This is a risky plan, but it's not as bad to lose a cannon if you have the life to spare. If you want to choose a cannon to lose, pick the far right one since it is bothersome to load. Level 8 1500 For this level, if you have the lives to spare, just let all the cannons burn down. It will cost you 3 lives, but not having to worry for Jacques any more should help you focus on the pirates. Again, remember the order the pirates appear in and slash them in that order as fast as you can! After Level 2, you can type blackpawkeet at any time to gain an extra life. This can be done once per game. Sometimes Ollie (TPOSG) will appear wielding two swords. If you slash him with your sword, you earn 10 points. 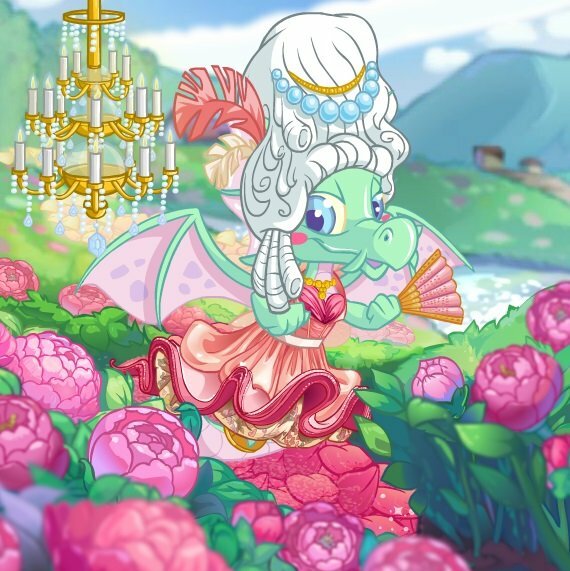 Good luck keeping those scallywags off your ship! 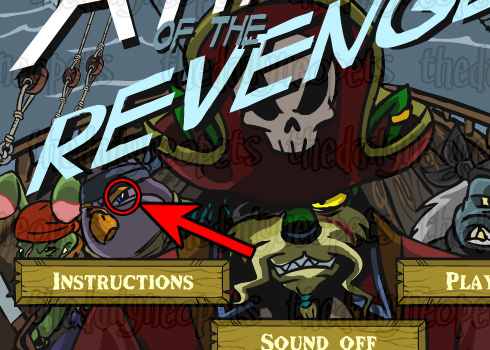 If you need a break, and want a smile, try out this fun Easter Egg: click the pirate Bruce's right eye on the start-up page to make the Phantom Orange Shirt Guy appear, brandishing swords at you!